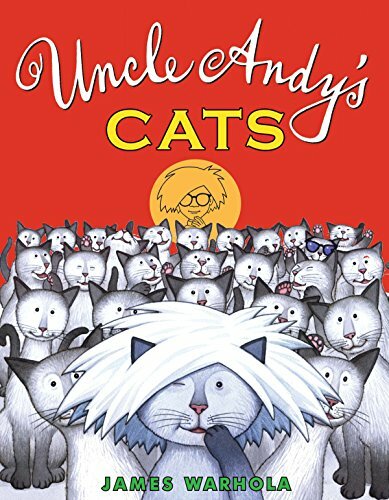 The hilarious story of artist Andy Warhol and his 25 cats named Sam. It all started with a little blue cat named Hester. Then along came Sam and it was love at first sight - along with lots of little Sams! While the cats are perfectly happy stampeding through Uncle Andy's art studio and frolicking among his soup boxes, the humans know things have to change. So Uncle Andy devises a brilliant plan to make his cats famous - and easier to find homes for. brilliant plan to make his cats famous - and --easier to find homes for.